Law enforcement and government security professionals face growing challenges in physical surveillance, close protection and investigations – Enter the Roger Covert. 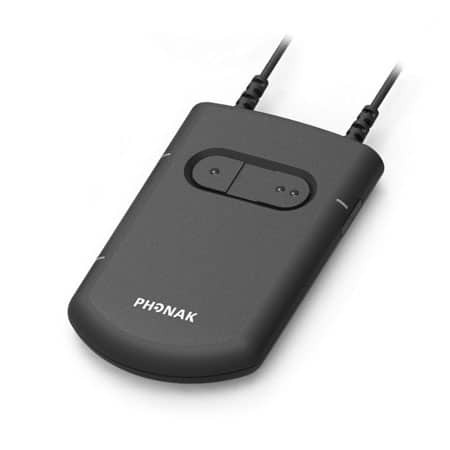 Phonak Communications has been setting standards for covert wireless communications technology since 1977. Forty years on, Phonak’s Roger Covert secure wireless communications system is a revolutionary new technology for security professionals and is set to redefine covert surveillance operations. Enjoying neck loop-free operation, Roger Covert provides more comfort, freedom of movement and reduced risk of compromise, enabling lighter clothing and closer target proximity. Combined with a highly sensitive, directional noise-cancelling microphone, voice transmissions can be clearly heard in noisy situations, through clothing, even while whispering. The noise cancellation qualities of this microphone must be heard, to be believed. Roger Covert’s advanced audio processing and adaptive frequency hopping is coupled to 128-bit AES encryption to deliver interference-free, interception-proof audio transmission with the highest intelligibility currently available. With its ergonomically designed earpiece and a range of configuration options, Roger Covert enhances surveillance and monitoring capabilities in noisy, crowded and challenging conditions. The Roger Covert system is now complete wireless solution, with compatibility with various common Push To Talk / LTE platforms using Bluetooth connectivity. Business Development Manager, Law Enforcement and Government Security. This entry was posted in Law enforcement and tagged communications, covert communications, earpiece, Law Enforcement, physical surveillance, Roger Covert, Wireless.